One week before we moved, I started the Little Man at a new daycare around the block from my work. I didn't want too many changes at once. His second day there, he got bitten repeatedly by some Devil Child. The second week, he choked on a banana because they weren't watching him carefully enough - when I specifically asked them to and paid more for this special service, apparently. The third week, he ran up to me when I arrived and told me he had an "owie." No one could tell me how he got this owie. I'm a three-strikes-yer-out kind of person, especially with my kid. What's even worse is it seems it was a complete free-for-all there, with absolutely no discipline. He has tasted freedom and wants more. This week alone, I got kicked in the eye, which scratched my cornea and meant I had to miss a day of work to see a doctor. That same evening, he threw a rock at my head. He has pinched me and hit me. 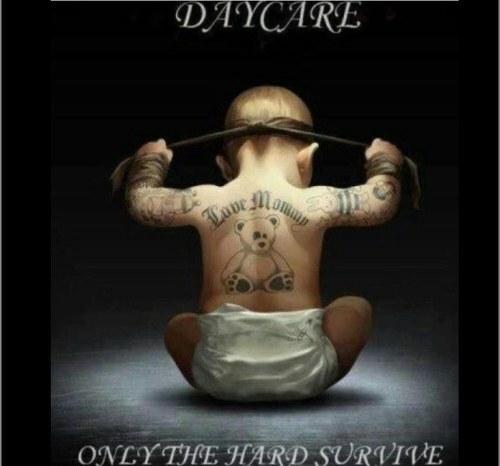 I'm sure he learned all these amazing skills at this new crazy daycare. It's frightening how quickly my child has changed. I'm hoping with time, patience and consistency - we have a new home daycare keeping a good eye on him - he will return to his good old non-violent self. How quickly things unravel and how much work it is to get things back on track!